PocketLock locks your phone when inside your pocket or bag, and unlocks when taken out. No more need for the lock button on the phone! 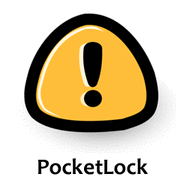 PocketLock runs in the background, and auto-starts with your phone (can be disabled from the options). The application is very simple, yet powerful!